Allowing someone to design their own wall decor, custom prints or photo gifts will make the perfect present for anyone with a creative flair. Whether they’re an artist or budding photographer wanting to display their work, or someone wanting to share photos from a special family event. The possibilities are endless. 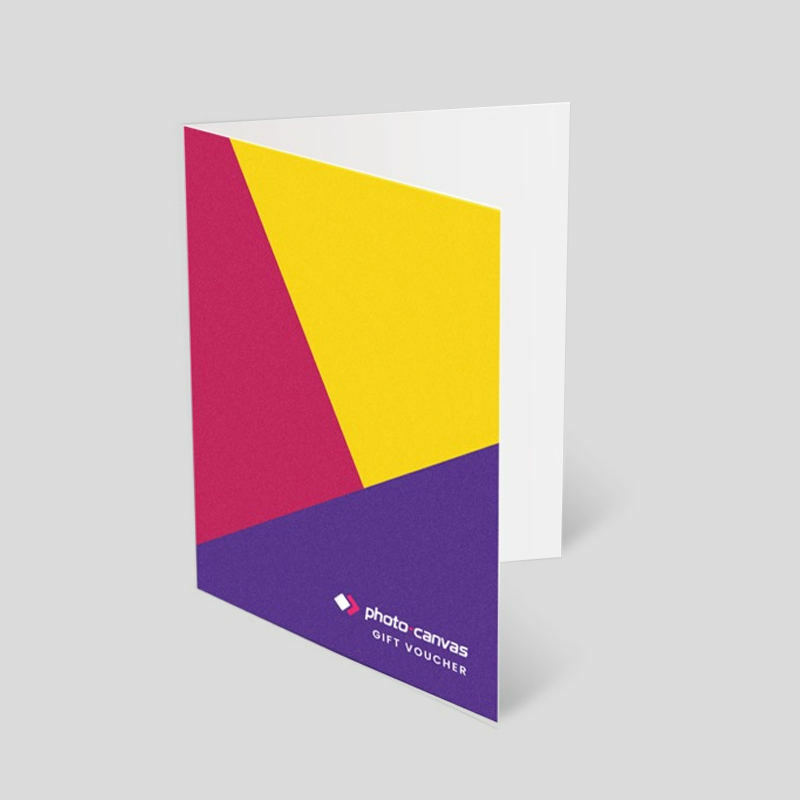 Give someone the gift of being creative and having fun with our array of printing options. Choose from a selection of different values to suit you. Order your gift card and specify the price, then the recipient can choose their design, size and product. Perfect if you need to grab a last minute gift! A gift card is a perfect option if you want to give someone a gift that keeps on giving. Once you choose the value of the gift voucher, the rest is up to the recipient! They can choose from a huge range of canvases, wall art, homeware or great gift ideas up to the value of the card, in whatever shape they desire. A Photo Canvas gift voucher isn't only for artists; it's a wonderful gift for anyone who loves creating or holding onto keepsakes and memories. 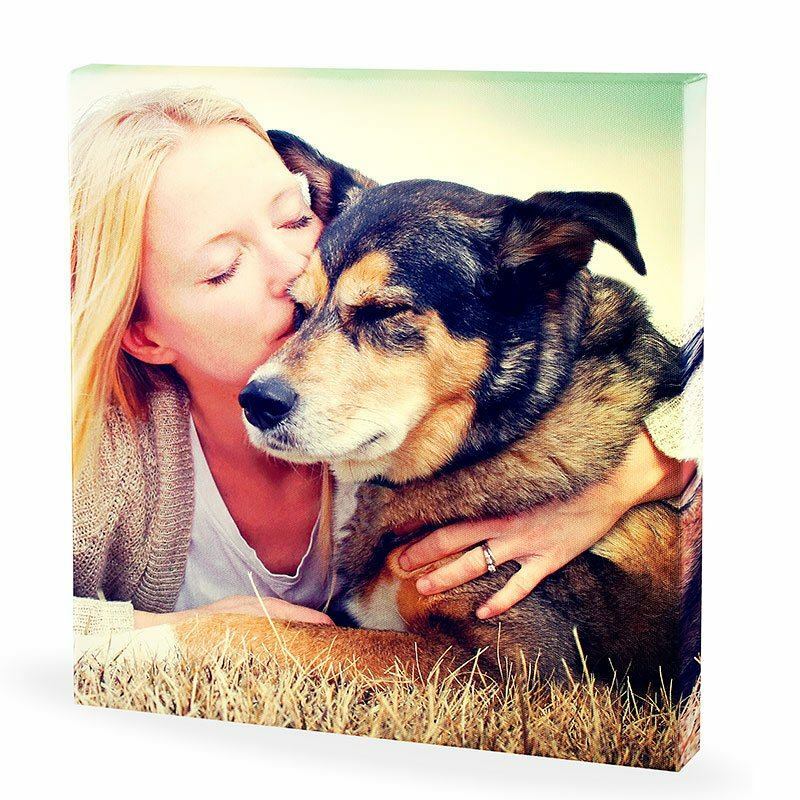 Your loved one can create a visual photo memory with a photo montage, a single image, or even a design, and have fun choosing different product options. If they're indecisive, they can include as many photos as they like in the photo montage and create a wonderful, lifelong memory. Should they be truly inspired, and want to exceed the amount of the gift card, that too is not an issue, they can simply pay the difference themselves at the time they place their order.